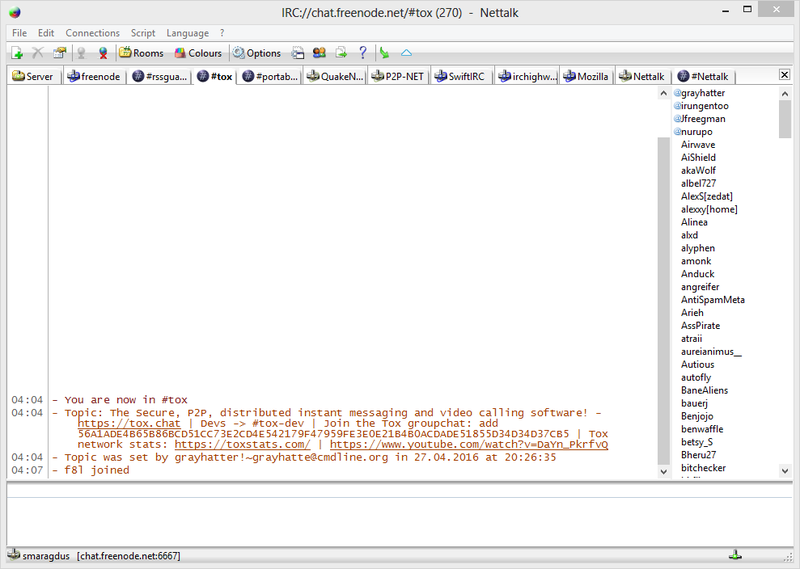 Nettalk a lightweight, powerful, and easy-to-use IRC client with a tabbed interface. It offers comfortable management of multiple IRC connections, script and plug-in support, on screen displaying of messages (e.g. in games), DCC chat and file transfer, sock proxy support, configurable text and menu shortcuts, configurable colors and background picture and much more. Supports 7 world languages including Spanish, Russian, Chinese, and German.